Wychwood Park offers an extensive range of light and airy accommodation along with the restaurant, bar, clubhouse, and free Wi-fi throughout. For a scenic golfing challenge, golfers will enjoy the PGA European-tour standard 18-hole golf course. The hotel offers 27 flexible meeting rooms, featuring contemporary design and natural light, and an extensive range of accommodations for up to 250 delegates. 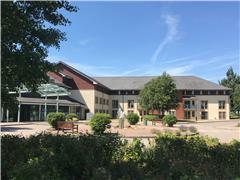 Combined with a dedicated in-house events team, Wychwood Park, Crewe is perfect for Cheshire conferences, weddings, and a range of celebrations. To search for a conference room or meeting room availability at Wychwood Park Hotel and Golf Club please enter the details below.